As seen in the Single Photon Emission Computed Tomography scan imaging, the cognitive damage from alcohol is legitimate; there is damage being done to the brain in significant and substantial amounts over any amount of use. In a heavy marijuana user, one region of the brain increased in function and activity, while the rest remained strong. It would appear that humans have become used to a level of alcohol (a naturally fermenting fruit rotting on the tree at late harvest will not have alcohol over .5%). For adults, while the damage is not permanent, it is significant, and by removing the toxins the brain has the capability of returning to normal. See the video below, posted before, to see an example of this. What is the impact of this? It was in low and moderate marijuana users found to be nearly 5 points on average an increase in IQ (Fried et al. ); there have been studies that suggest marijuana has a detrimental effect, though this can be attributed to increased levels of toxoplasmosis gondii as marijuana is grown in greater amounts in home operations and has exposure to cat feces and has only been observed in states with illegal or decriminalized marijuana laws and recent exposure of leading anti-marijuana academics as corrupt and accepting corporate bribes without disclosing their anti-marijuana bias (Fang). Of low and moderate alcohol users: a “number of studies have noted a measurable diminution in neuropsychologic parameters in habitual consumers of moderate amounts of ethanol” (Eckardt). Taken into context, the estimated damage of lead poisoning (affecting the majority of Americans before the 90’s or so, but today only affecting a minority) is 5-10 points (Bellinger). Translated, as seen on the graph below, this means that the first toxin a population is exposed to will reduce the number of gifted (IQ of 125+) by 80% while when multiple of these are introduced, the bell curve flattens and the damage from 15 points for example will well within 85% (How Pollutants Affect Brain Development). Due to this nature of the bell curve and the improving environmental standards in the United States, there is now the capability to definitely recommend the regulation of alcoholic drinks and foods to under .5 percent. Fried, Peter, et al. “Current and former marijuana use: preliminary findings of a longitudinal study of effects on IQ in young adults.” Canadian Medical Association Journal 166.7 (2002): 887-891. It should be noted, however, that this graph is not perfectly accurate, and there is a skew on the graph towards a lower IQ where the population is more gradual, as seen demonstrated in actual IQ data below. This means that the effect that is being observed on the high end of the scale is “mirrored” on those with functional or mental retardation and with some substance there is no noticeable effect, and at some point there is an amount at which the number dramatically increase (closer to 20 or 30 points, perhaps associated with illegal narcotic or prescription drug use). 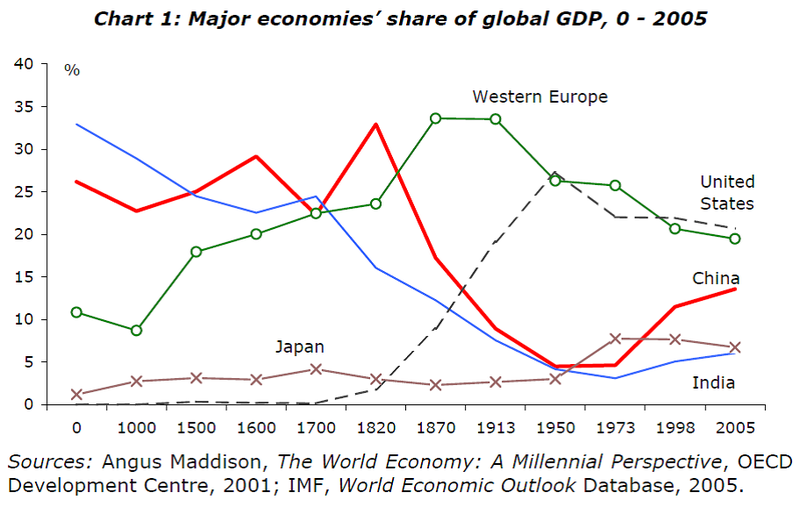 An example of this can be seen by looking at the Chinese economy following the legalization of hard drugs in the 1800’s which was associated with a loss of approximately 95% of the economy (Major Economies’ Share of Global GDP, 0-2005) in just a few generations. The economic impact of the loss of the gifted group is real, as IQ is directly correlated with achievement, productivity, and income. While the income difference between 90 and 110 IQ points is in the thousands or tens of thousands of dollars, from 110 to 125 or 130 can be over 500,000 dollars annually (seen below). So it may only be two percent of the population that is substantially impacted by lead poisoning or unregulated alcohol and marijuana, but the impact to the economy is exponentially greater. This can be seen in the change in the workplace today, populations with clean environments, high-tech industry and low substance use rates have averages of 10 or 20, sometimes just 5 or 6 employees for each manager. Low tech industry in the 1960’s involved hundreds of employees per manager or executive in companies and poorly qualified supervision. In countries and parts of the US with low environmental standards or high use rates this can continue to be seen, both legally and in illegal sweatshops. By regulating the use of these substances to fall within safe levels, the cultural and societal benefits can be retained, while creating an artificial “Flynn” effect, where environmental factors such as health care, nutrition, or mating and marriage regulation and rules gives a boost to the population as seen below. Addendum: Due to information on infection from toxoplasma gondii and resulting psychosis and schizophrenia that has only been compiled in a meta-analysis in 2014, the impact of marijuana on the IQ may be incorrect in places with legalized marijuana industries. It would appear that the most severe perceived negative effects of marijuana are in actuality the effect of a small parasite that is present in many cats, the fece of which will infect soil and crops in a home-grow operation for up to a year. The information provided here on the impact of illegal or decriminalized marijuana holds, however, as these laws encourage home grown operations meaning many users will contract the parasite as they will buy from a cat owner at some point. Bellinger, David C., Karen M. Stiles, and Herbert L. Needleman. “Low-level lead exposure, intelligence and academic achievement: a long-term follow-up study.” Pediatrics 90.6 (1992): 855-861. Eckardt, Michael J., et al. “Effects of Moderate Alcohol Consumption on the Central Nervous System*.” Alcoholism: Clinical and Experimental Research22.5 (1998): 998-1040. Fang, Lee. “Leading Anti-Marijuana Academics Are Paid By Painkiller Drug Companies | VICE News.” VICE News RSS. VICE News, 7 Sept. 2014. Web. 20 Dec. 2014. Fischer, P. A. (2014). Single Photon Emission Computed Tomography – Alcohol and Marijuana light use, case study.